There's also a video version of this. First you should have node , and make sure it's version 8.10 or above. Recommended to use yarn to management npm dependency. Then install umi globally, and make sure it's 2.0.0 or above. First create an empty directory. umi g is the alias of umi generate, used for generate component, page, layout quickly. And it can be extended in plugins, such as umi-plugin-dva extended dva:model, then you can generate dva's model via umi g dva:model foo. The pages directory here is the directory where the page is located. In umi, all the js files under the pages are routes. It's like next.js or nuxt The experience of .js . After starting umi dev, you will find a directory of .umi under pages. What is this? This is the temporary directory of umi, you can do some verification here, but please do not modify the code directly here, umi restart or file modification under pages will regenerate the files in this folder. Then we add some route jump code to index.js and users.js. 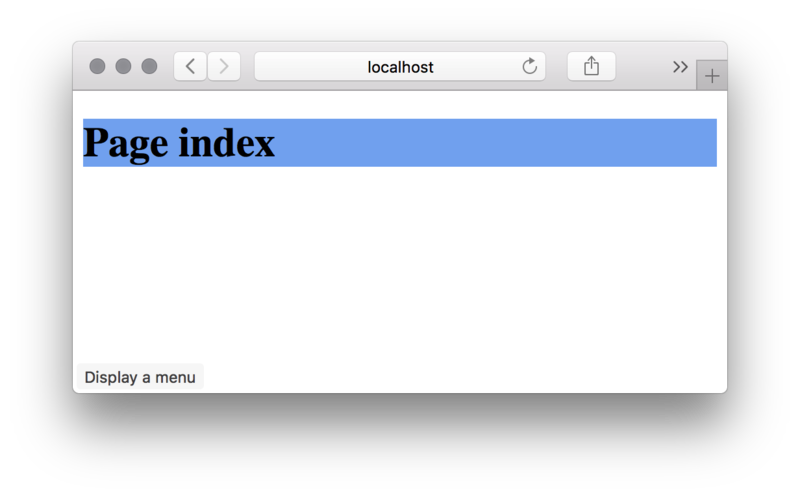 Then verify in the browser, and it should already be able to jump between the index page and the users pages. Local verification can be done via serve before publishing. Copied local address to clipboard! Visit http://localhost:5000, which should be same as umi dev. Once verified, you can deploy it. Here is a demonstration with now . Then open the url to view it online.